Just to let you know, when I duplicate the checkbox/radio buttons, for some reason it doesn't show up in the preview. Do you know why that is? Please try viewing the form using this link: https://www.jotformeu.com/70162663307351. I have cleared your form cache so that your forms will be refreshed from our servers. Hope that helps. Let us know if you're still having issues. Thank you. Thanks a lot for your email, but unfortunately I'm still having the same problem. That is, when I try the preview, the duplicate forms don't show up. I was wondering whether you have any suggestions. Do you mean duplicating the configurable widget on your form? If so, I have tried duplicating the widget and see that the change is displayed without any issue at my end. Could you try making a change to the form and let us know if the issue still persists? Also, please try logging into a different browser or a private/incognito window to see if that works. Let us know how it goes. We will be happy to take a look again. Thank you. Thanks Kiran. I'll try it in a different browser and let you know. Thanks for this. I just tried it in a different browser and unfortunately it doesn't work. The problem is that I can duplicate it, but it doesn't show up in the preview. Do you know what the problem might be? 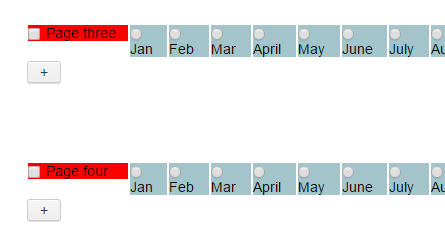 Could you let us know the change that you are making on the form so that we'll check it from our end? 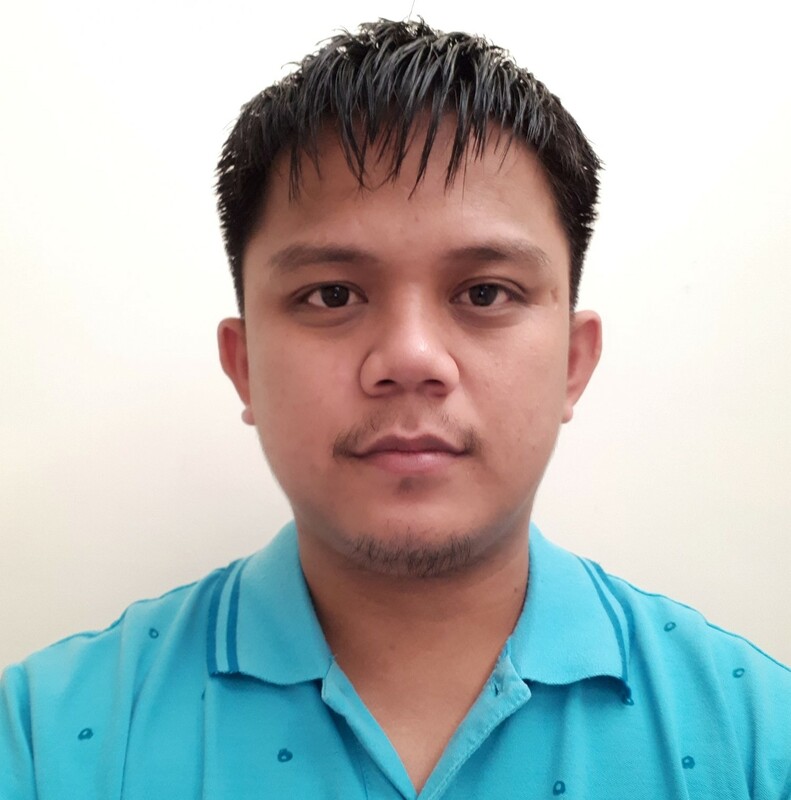 If you are looking for the change made earlier, please note that I have reverted it back to retain the original form. However, I have now made the change again to the form and the change is displaying normally at my end. I have not reverted the change now. Please check now if this change is reflecting at your end. Thanks for sending this over. I can view your form perfectly well. Now, when I duplicate the rows by pressing the little blue arrows, the duplicated rows are showing in the preview. This didn't happen before, so that's good news. However, when I duplicate the rows by pressing the "+" button, it doesn't show up in the preview. I was wondering whether this could be corrected. If there are errors (red lines), please take a screenshot and upload it here. You need to access this thread to upload. Thanks for this. I tried pressing control, shift and "J" as indicated but nothing happened. I'm wary about messing around with my browser settings. I'll try in on another device. In the meantime, I was wondering if you have any other suggestions? I should actually say, that now if I try and duplicate the rows, that's not visible anymore in the preview. Would you mind letting us know how to replicate the problem? On my screenshot, I just clicked the "Preview" button in the form builder and click + in the configurable list widget to add a new row. Is this the steps? This form http://www.jotformeu.com/form/70162663307351 is yours, not mine or my colleagues. 1. 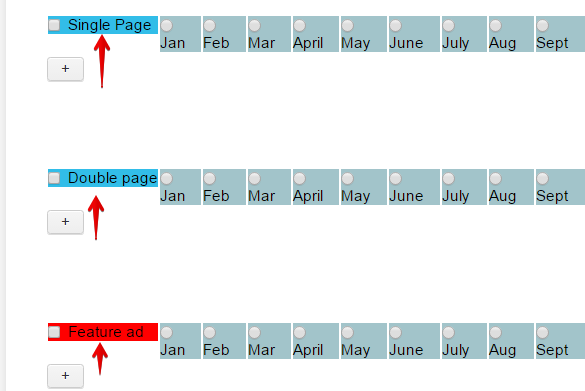 Clear your forms cache (https://www.jotform.com/help/229-How-to-Clear-your-Form-Cache). 2. View the form using this URL: https://www.jotform.com/70162663307351. I've updated my design, but the old design is still showing. I tried all the suggestions below and cleared the cache on Microsoft edge and google chrome, but nothing worked! Don't really know where to go from here!? Any ideas? I am not sure if I understand your concern correctly. 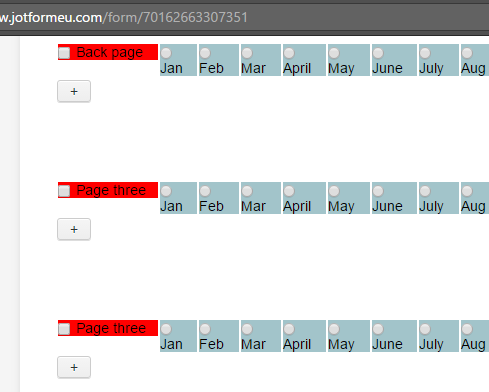 Do you mean to display multiple entries by default on the form? 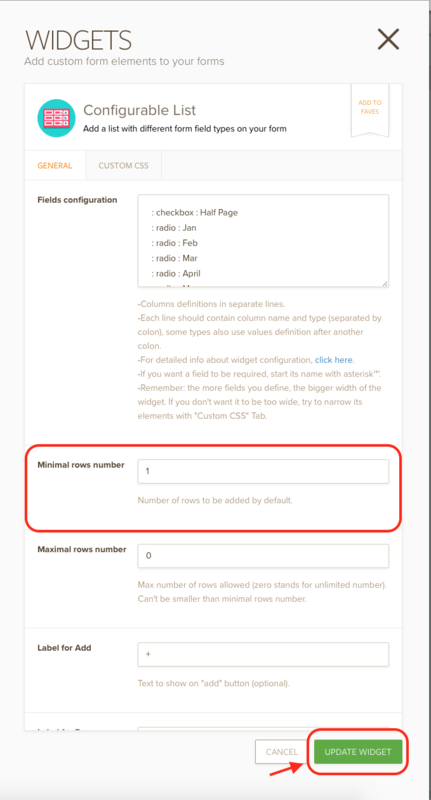 Please note that the configurable list displays one row by default and more rows can be added after loading the form. 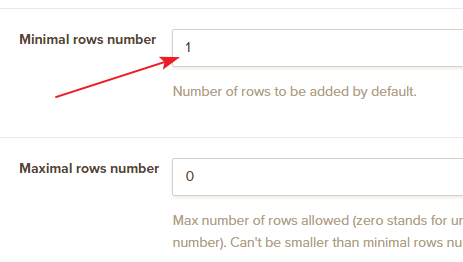 If you want to display multiple rows when the form is loaded, you may change the Minimum rows number setting in the configurable list. Hope this information helps! Let us know if you are referring something different. We will be happy to assist. When I duplicate rows, I cannot view them in the preview. Also, when I press "+" to duplicate rows that way, I cannot view them either. This is the problem. Could you let me know where I can find the "multiple rows " settings, I was searching but couldn't find it. Would you mind taking a short clip for that problem? 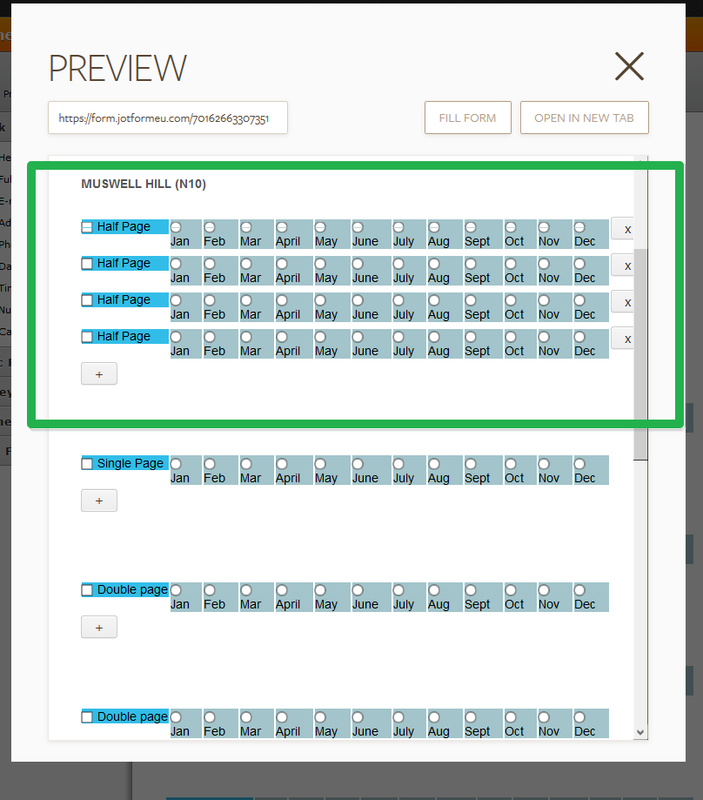 Note that clicking the + sign in the form builder won't add a new row on the preview. If you want to have a minimum row to show up by default, you need to adjust this in the widget settings. Could you tell me how to adjust the minimum rows settings in the widget? Please follow these steps for adjusting the minimum rows in the Configurable List widget. 1. Go to your form and select your field that you want to adjust. Click "Wizard" button. 2. The widget settings page will be shown. Find "Minimal rows number" field and change it. Then, click "Update Widget" button. That's it! If you have any questions or issue, please do not hesitate to contact us. Thanks for this. I have created 6 rows, but I would like them each to have a different name for their checkbox. Do you know if this is possible? I should also say, I would also like to colour them differently (some in blue, some in red). Do you also know if this can be done?